Ref: LOC7 High quality locally made reproduction court swivel chair. 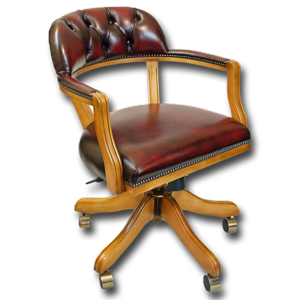 A great alternative to the captains swivel chair. Supremely comfortable with high quality gas lift mechanism, adjustable for height, rake, tension & lock. Chair pictured is finished in our light antique yew with antique rust leather but can be finished in any of our yew, mahogany or oak colours or to colour match to your existing desk. 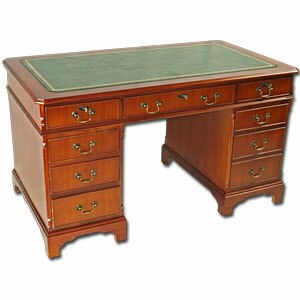 High quality reproduction Regency pedestal desk. 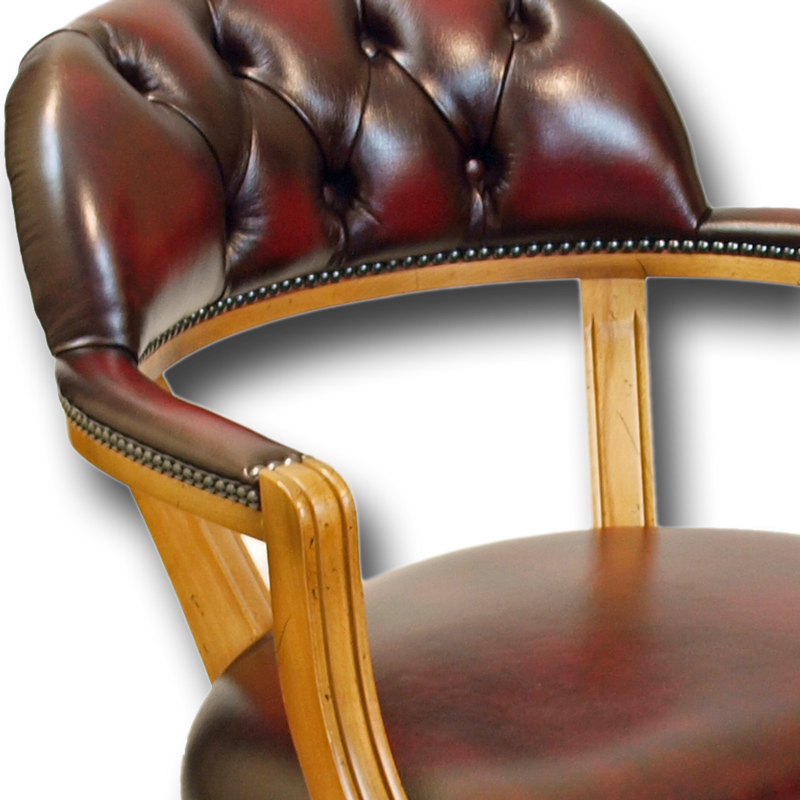 Superb attention to detail such as canted corners, bevelled edges and solid mahogany bracket feet. Choose from 6 leather colours, 5 handle types and 4 finishes.Locking top three drawers. 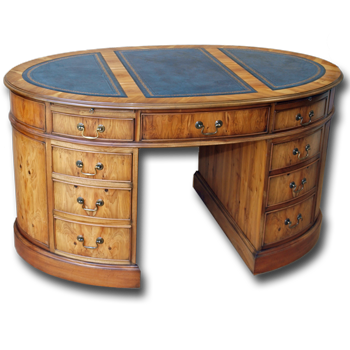 Superb quality reproduction Regency Oval desk. This desk is in no doubt eye catching! 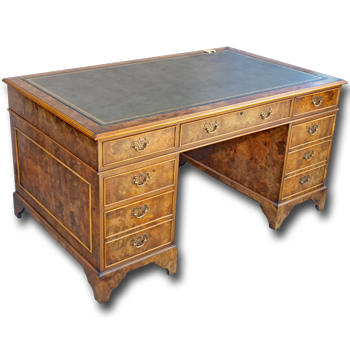 Not only are there nine working, solid wood drawers and two pull out slides, but the rear of the desk is finished to match; including 9 dummy drawers fitted with matching handles!, 6 leather colours, 5 handle types and 4 finishes.